I had such a fun time on the last hop that I just had to participate in this one as well! 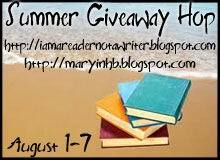 Giving Away 2 books so you can get in a little more reading before summer is done! I will use random. org to choose a winner on Aug 8th and notify the winner by email and on my blog. Keep your eyes open on Homestead Review Week where I will be reviewing all things homesteading, and farming!! Enjoy the hop with these great reviewers! Dr. Werner has invested much time and resources into creating a brilliant example of creation through the viewfinder of fossils. Showcasing fossil forms and familiar animals of today Dr. Werner is able to show how the animals have remained constant over time. He has captured the animals and fossils in amazing photography. First describing how we come to name the groups of animals and classifying them. He then goes on to show these varied creatures in vivid photos and detailed description. 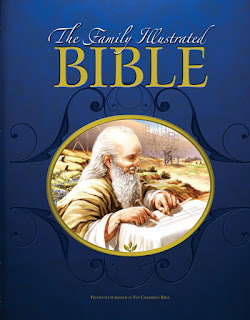 A must text book for homeschool families in the high school years for sure. I have Vol 1 ready to use for my own children this year and will incorporate volume 2 in right after. I am just in awe of the beauty of this book and the dedication of Dr. Werner and his team to bring this evidence to light for our families. I received a copy of this book from New Leaf Press in exchange for an honest review. 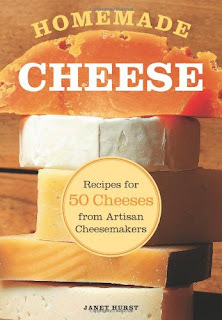 One of the best cheese making books on the market! 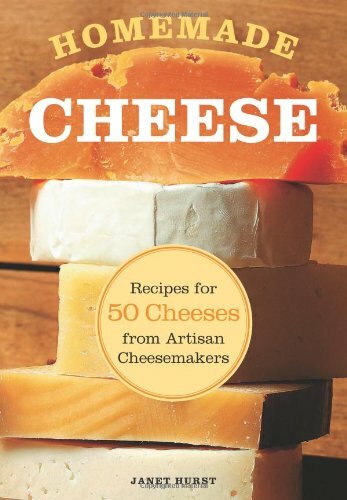 Absolutely beautiful book that shows the artistry of cheesemaking. I loved the interviews with the artisans and farmers. Their insight into cheese making, and advice is invaluable. The photos of their farms, and animals and the pure joy they emitted in being a cheesemaker showed the hobby side of this art. The recipes included step by step directions and often photos for the beginning cheesemaker. Additional information on the hows and whys of cheesemaking helped to answer any questions as well. The recipes ranged from the simple cheeses like ricotta, mozzarella and cottage cheese and advanced through to the finer aged cheeses of Gruyere, Blue cheese and Drunken Goat Cheese. 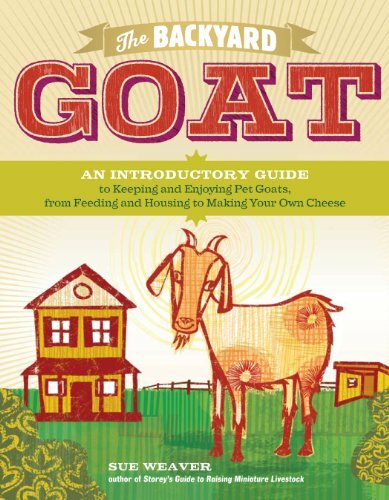 I personally loved the emphasis on goat milk and goat cheeses in the book. It included dairies of cows, but many of the interviewed persons owned goat farms. I felt as a goat dairy myself this helped to focus the milk and cheese products more on the styles and types that I would make. Resources are included in the back of the book on places to purchase your supplies. I will be using this book again and again and highly recommend it to all my goat farming friends. I received a copy of this book from Voyageur Press in exchange for an honest review. I often hear people mention they can’t wait to get out into the country to start homesteading. 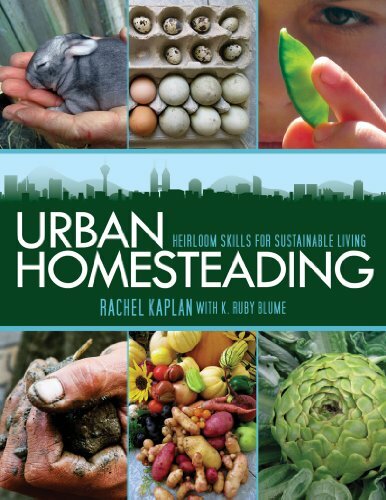 With the information in this book, you can start homesteading right where you are living now. The first 4 chapters are much like a text book on topics like global warming, your carbon footprint and resources. A good lead in to urban farming but I wanted to get in the dirt. Urban Homesteading says “a Can-do attitude is the most important resource for a homesteading attitude” and I feel that is so true. The authors encourage you to start small, in reasonable bite size pieces. Gather your tools and evaluate what spaces you may have available to you. Whether you live on a lot in in your own home, rent, or even in apartments there are spaces around you available for planting and growing food. In addition there are opportunities available for community gardens, co-ops and school gardens. The paradigm is to think outside of the box, to think beyond acres and acres of land, and utilize what is right outside your doorstep. Think raised garden beds, barrels, depaving a driveway and using that space, vertical gardening. The book walks you through soil development and getting the land ready for planting, including ideas on composting. It discusses seed types and plants with charts on the best times of year and places to plant them. Included are veggies, herbs and fruits for a complete guide to all grown plants. The book goes a step further once you have the plants under foot to add in honey bees, chickens, ducks and possibly even a goat. Much information on caring for the animals in small spaces and suggestions and ideas on making it work for you. 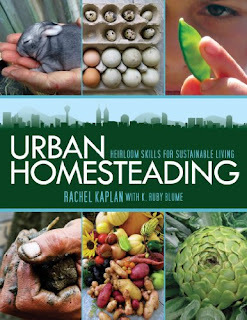 I could easily think of many friends and family members who could benefit from the ideas in this book and agree that if you start small and work up from there you can indeed have an urban homestead. I received a copy of this book from SkyHorse Publishing in exchange for an honest review. 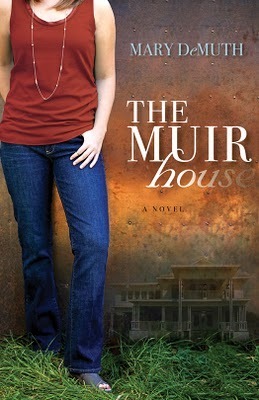 A young girl named Tipper is living all alone since her father went missing. Stumbling upon a wizard, named Fenworth, he tells her that her father’s statues are needed to save the world. She goes on an adventure to find all three of the statues that she has sold. Along the way she learns that she has an ability to summon dragons. The dragons she summons have unique gifts of their own. 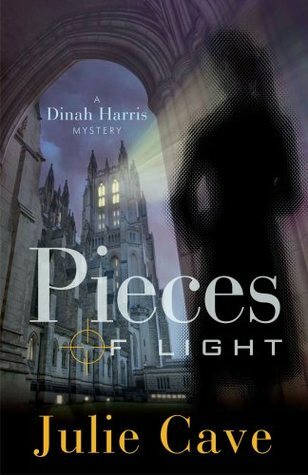 She meets a man named Paladin who represents Jesus in this Christian story. She goes to the forest and meets an all-powerful deity that represents God named Walgur. She learns a lot about trusting Walgur as we learn to trust God. Tipper learns about the importance of friendship through the relationship with the dragons and a dutiful parrot. 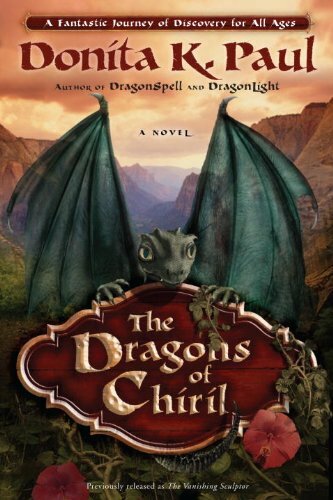 Page turning adventure that includes the whimsicalness of dragons, yet intertwines the truth of the Christian faith in the story. Fantastic read for adults and teens alike who are love the fantasy fiction, yet want to keep the importance of Christ in the front of their reading adventures. This book was previously released as The Vanishing Sculptor. I received a review copy of this book from Waterbrook Press in exchange for an honest review. 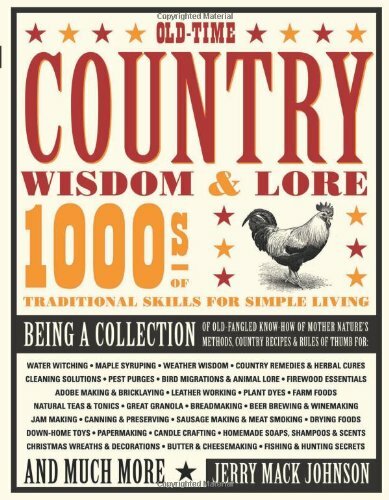 This beautifully crafted book has just about every tid bit of information you would want on old time wisdom of country living. It is truly an encyclopedia of all things country. Over 300 pages with 100’s of different skills represented. The vintage clip art and ad signage make this a beautiful book to glance through. Detailed drawings of herbs, trees, animals and more give you a great idea of the specific that Mr. Johnson is discussing. It would be a fantastic addition to a country home’s coffee table collection. Not the kind of book you read straight through, but one you gather bits and pieces from over time. I could see my grandparents really enjoying this book and reminiscing about their own country days. 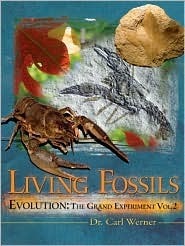 Available at bookstores and online booksellers and from http://www.voyageurpress.com/. I received this book from Voyageur Press in exchange for an honest review of it. Thanks to everyone for making my first hop a great success and to all my new GFC followers!! 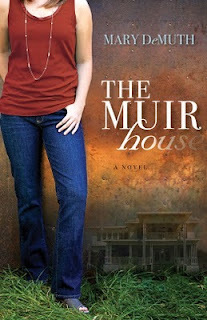 I have several fun books coming up for review and some surprises and giveaways as well. Next hop I am participating in is the Summer hop on Aug1-7th. Hope to have some exciting books for you to win!! So many times as women we feel the need to perform, to accomplish certain tasks, or act a certain way to get kudos from those around us. We seek our significance in what others around us think about us and their applause. Each chapter of the book takes a reason we may feel the need to perform such as shame, a shaky identity or being an overachiever. She then couples that reason with a parable that addresses the same topic. She shows the parable as it applies to the specific form of performing, and blankets it with the grace that God offers in that parable. She includes a message from scripture, a prayer and a passage to remember each chapter about grace. The book lends itself great to a weekly bible study as it has study questions at the end of each chapter for 6 days. You can easily use these in your own personal study as well by just answering the questions in the time you have. 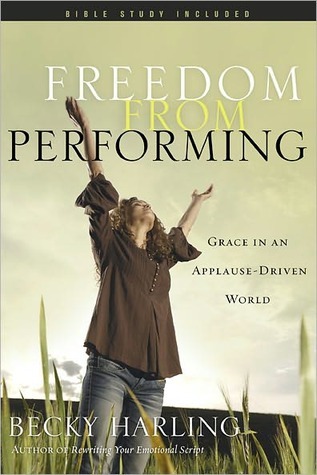 The themes of God’s grace and the Holy Spirit being the leader are interspersed throughout the book as we learn that we are not meant to perform, but to live in a spirit of thankfulness and surrender. 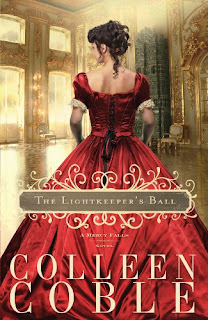 I received this book free from NavPress Publishers as part of their Blogger Review Program. I was not required to write a positive review. The opinions I have expressed are my own. I am disclosing this in accordance with the Federal Trade Commission's 16 CFR, Part 255: "Guides Concerning the Use of Endorsements and Testimonials in Advertising." Had to put a couple of reviews up for you all to see, just click on the Red letters above and be redirected to join in the Freedom Hop Giveaway!! Have a Fantastic Celebration of our Country!! 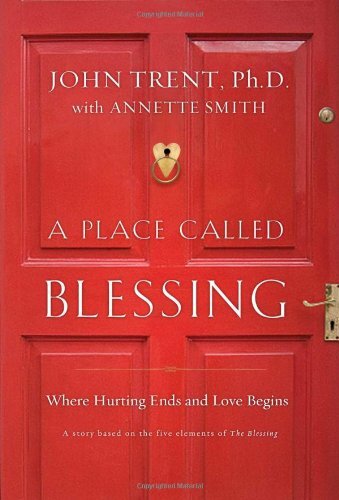 A Place Called Blessing is a story based on the original book by John Trent, The Blessing. This story takes one step further the five essential elements to being a blessing to others; meaningful touch, a spoken message, attaching high value, picturing special future, an active commitment. The story begins with Josh as a young boy and his two brothers being raised by their parents who are too ‘young and dumb’ to take care of them. The boys fend for themselves and often are neglected and left hungry. The parents are killed in a car crash and Josh at the age of 4 is put into the Foster Care system along with his brothers. Being difficult to keep 3 active boys together, Josh often times was without his brothers and rotated between foster homes until he was 6. Tragedy at his next foster home ends him up being labeled as non placeable in his own eyes, and he continues through the system until he is released at age 18 with no family and no money. God had a plan for Josh though and through courage and perseverance he landed a good started job, stayed nights wherever he could find. Eventually he got a job with the city, found a room to rent and life was progressing. He became friends with the home owner Anna and her adult son Mike, and for the first time in his life he was able to see what The Blessing was truly about. Each of us a Christians should strive to make our home and our hearts a place called blessing. To reach out to those who are lost in the world, regardless of age or stereotypes. I appreciated the story format of the book , for me it is easier to grasp the message and theme through story mode than a nonfiction type format. The subtitle of the book is Where Hurting Ends and Love Begins, and that would be a place we all pray for. A cookbook for Dolls and those who pretend with them. It includes all the categories that a regular human cookbook has including suggested menus. So adorable! The ingredients of course are very inventive and imaginative. Delicacies such as Wood Chip Dip, Grilled Mud Sandwiches, Dandelion Souffle and to top it off for dessert, Pine needle upside down cake. Sweet, sweet book tickled my fancy for sure and threw me back to the day where we really did have tea parties and have our dolls participate in our daily life. Anyone want to come over and play dolls! !